A new and exciting tower building, game involving skill, tactics and luck that’s simply great for parties. 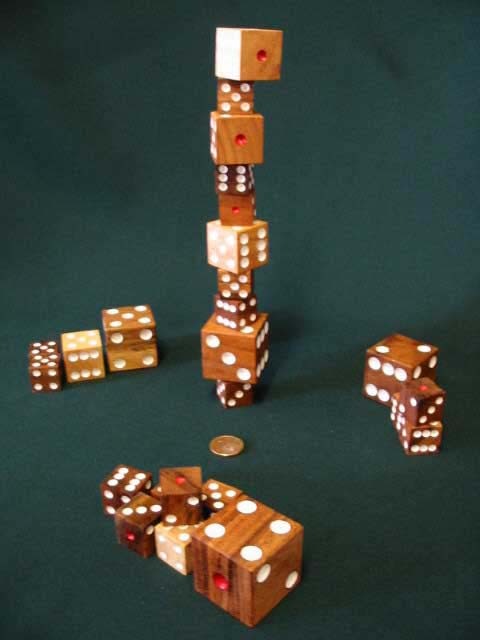 The first person to get rid of all of their dice wins. 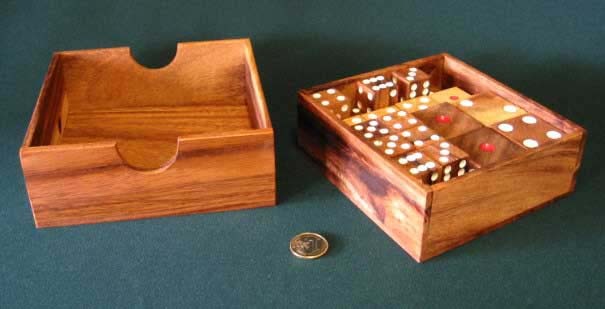 28 Dice of 3 different sizes in a box with lid. Dimensions. 155 x 152 x 60 mm.